Anyone actually reading my blog? You’re tired of me talking about Florida State. So let me get this out of the way: take the Seminoles -8 at Duke. I think Duke actually wins this one, so I would wager $30 on the points line to every $5 on the Money Line favoring Florida State. Kansas State getting 9 1/2 in Ames against Iowa St. is a crap shoot. I’m staying off of this one. I could see it being blow-out city for “The Mayor” and the Iowa St. Cyclones. However, K-State has surprised me a couple times this season already. I respect the past performances (and the line). The one Big 12 game I will wager is to favor Baylor -6 at home against Texas. I think Texas has over-performed and Baylor is pissed it just got shielded by KU despite a most feisty effort. I’d just put $5 on a Baylor cover, for the purposes of this exercise. Richmond s getting 3 1/2 points after beating UMASS against Dayton? And the Spiders are hosting? Throw a shekel ($5) on Richmond to win this game outright. Why not? They’re home and they’re on a roll. Back-to-back wins against UMASS and Dayton can be a season-changer, and they know that. We’re up to $45 wagered, on this fictitious exercise. Florida is awesome, but Tennessee is desperate for a program win. I will take the Volunteers $5 money line and $6 getting the 9 points. This means if they cover, but don’t win, I break even. However, I profit $17.75 for my measly $5 if they win outright. If they get blown out, obviously I lose the $11 bucks. Let’s do it (hypothetically). Michigan State Michigan is the match up of the day. You know why? Because they are tightly matched up, especially because of the injuries Sparty is facing. I think Michigan St. will win at home because senior Appling is facing freshman Walton at point. But, it’s the highlight game of the day for a reason, and I’ll wager $24 that Michigan covers 6. $20 bucks left. $5 on Georgetown cover 11 1/2, $5 on Georgetown money line (+500) at Creighton. $10 on BYU to cover 7 1/2 against Gonzaga. I like BYU’s freshman center to keep this one interesting, and BYU has underperformed versus expectations. I think the Gonzaga Bulldogs to squeak out a close one. I only took 1 favorite compared to 6 underdogs. But, that’s what I do. I am shopping for great values and simulating the type of approach I’ll take during March Madness. Matt’s ATS is 22-17 after a disappointing 3-4 last week. That’s only 56% on the year. My goal is to head into Vegas this March at least 60% on the season. Let’s see how I fare when we take into account more practical pricing scenarios. Mid-majors. Does that term exist anymore? I’m going to make sure the little guys get some love here because, unless you’ve forgotten, North Dakota State, Florida Gulf Coast and Lehigh all had respectable recent runs in the tournament. Eastern Kentucky dominated Belmont in a nationally televised game on its home court. Both teams can shoot the three. They are both in the top ten nationally for most 3-pointers made. Belmont is a good team with quality wins for its program over some of the country’s giants. Eastern Kentucky penetrated its defense, dunked on its front line, and matched its precision from behind the arc. I always give bonus points when a team wins on a nationally televised game. We’re looking for teams that can handle the pressure and Eastern Kentucky is on my radar after this win. Green Bay has some dairy farmer country-strong type size. The Horizon league squad has a kid Faust who lead its league in rebounding last year as a freshman. It has an undersized but prolific scorer at point and a legitimate yet clumsy big body down low. Hey, it’s the Horizon League. The A-10 doesn’t belong in this conversation but I’m plugging it in here because the conference receives no respect. Respect the line on your bracket if you see an A-10 team on an unassuming 6-11 matchup. I’m talking about LaSalle, St. Louis, VCU, Temple all fared pretty well in recent March play. (Temple has since left the conference). Dayton, George Washington and St. Louis are my teams to watch for from this league this season. Assuming the three make march madness, I would bet on a 2-1 record Thursday-Friday. Headed to the guard-heavy MAAC conference, where I once got my jollies watching Fran McCaffery’s Siena Saints in Albany, New York. Even former NY Knick Anthony Mason’s kid plays for Niagara (and leads the country in scoring), Manhattan is currently listed as the Bracketology conference pick, but it’s Caniscius that I like. My spell-check does not agree. However, Billy Barron and the Golden Griffens rocked Iona (in Westchester) recently. Barron has a big brother playing professionally in Rome, Italy who critiques his play after reviewing every game. My critique would be that he plays like Jimmer Fredette. He can shoot from anywhere. He is also an underrated passer. A lot of MAAC teams can spread the floor. A clunky team like Baylor, Kentucky or Tennessee could struggle against them in a first round. Long story, short, let’s get to the picks. How is Virginia giving Florida State 6 points? Probably because the Cavaliers scraped the Seminoles earlier this season. I think 9 times out-of-10 Florida State covers that spread. Put a little on Florida State to win money line. Holy Toledo! I didn’t talk about the other MAC conference. Toledo looked awesome at Allen Fieldhouse in a 10 point loss earlier this season. Therefore, I am taking them plus a point at Akron. I think Oklahoma has been exploited the moment it snuck into the top 25. I’ll take Baylor here minus 6 1/2 to right its ship and smack around the Sooners who lack an answer inside to Baylor’s bigs. Keeping with the Big 12, Kansas has hit its stride. I cannot see them not covering 4 points at home against Oklahoma State. The cliche thing to say here is “Oklahoma State is without Michael Cobbins who is injured.” I won’t say that. Oklahoma State is fully capable of beating Kansas. But not at Allen Fieldhouse. Not now. They’ll run into a power-saw Saturday. I got burned last week betting against Syracuse giving 7 points. I’ll play with fire again. Take Pittsburgh plus 7 against the Orangemen. Something’s got to give. Syracuse is not so elite to remain one of three national unbeatens. Sorry. (Not really). Speaking of unbeatens, Wichita State will not cover 11 1/2 against Indiana State. One of my first blog posts was about Jake Odom, an awesome point guard at Terre Haute who gets absolutely no ink whatsover. One more to go to make seven. I’ll finish with a random selection. Creighton has been on a roll. However, they have struggled with quicker teams. I feel Providence falls into that category for the value of six points. Take the Friars to cover against the Blue Birds. Enjoy another Saturday of college hoops and don’t forget to follow this blog officially by clicking “respect the line” in the top left corner and choose either e-mail updates or a simple follow through word press (if you’re a member). Respect the Line. 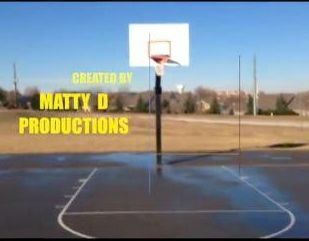 Matty D is 14-11 against the spread (aka Matt’s ATS) thus far this season. Syracuse just struggled at home versus Miami, a less developed team than the struggling North Carolina Tar Heels. However, the Orange is still spotting UNC 7 points today. I say Roy Williams boys go into the dome and cover the spread. The key to this game, as it normally is with UNC, is the play of James Michael McAdoo. I can’t see Syracuse’s undefeated streak extending for much longer. The bigger spending that I am, I’d probably throw $15 on a UNC cover and $5 on a money line win. “Respect the line.” That is what I repeatedly say to myself when I see inflated spreads. Kansas is getting major respect in its 11 point spread in the Sunflower State Showdown today hosting Kansas State. I will, in fact, respect this line. Vegas is telling me that KU should win this game handily. After watching Bill Self’s squad figure some things out about its roster in Norman. I saw K-State get killed on the glass early in the season against Charlotte. I say Self’s rotation finds a hungry Tarik Black and an ever-improving Joel Embiid. KU will continue its incline and cover the 11 points. Headed down to SEC country, I like Georgia playing with momentum after earning its coach a win amidst his mourning his father. Alabama has disappointed my expectations so far this season. I would take Georgia getting the one point. Staying in that conference, Marshall Henderson is out as expected for Ole Miss. Meanwhile, its opponent Mississippi State just gave Kentucky a run for its money. Because I like Henderson’s energy so much, I would take Miss St. here giving a point. To round out the seven, I’ll take Georgetown giving Butler 1 1/2, Villanova -4 1/2 at St. John’s and New Mexico giving 11 1/2 at St. Jose State. All three of those teams are just playing too well right now not to cover. Please remember to click the “Follow” button below your browser to get e-mail updates from my blog. You can also follow in “My Reader” feature if you are a wordpress member. #3 Ohio State is a perfect 15-0 but is getting 5 1/2 points from #5 Michigan State. Take Michigan State. That is all. 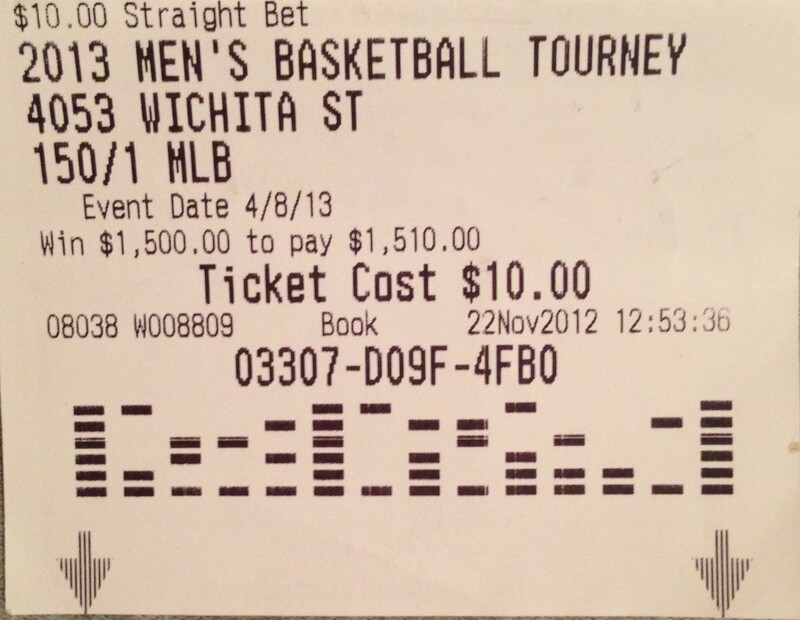 This loyal Auburn fan bought a $100 bet on his Tigers at 500 to 1 odds. He will not hedge his bet. Meaning, he will either win $50,000 tonight or nothing at all. Auburn was a -600 favorite. This is the line in which he could consider hedging his bet. For example, if he wagered $6,000 on Auburn, he would at least win $1,000 if his Auburn Tigers lost the game. One problem is finding $6,000 lying around. However, a larger problem for Mark, the Auburn fan, is that his team loyalty would not allow him to bet on the other team. Follow @markjskiba on Twitter for his dramatic one-liners during tonight’s BCS Championship game, with Auburn up 21-10 at halftime. Good luck @markjskiba ! Let’s get right into it. Cincinnati will cover 7 points in Memphis. The Bearcats beat an SMU team that randomly got a vote for the AP top 25 previoiusly. They also proved seven points could take an opponent an entire quarter to accomplish (during an abysmal offensive showcase against former Big East foe Pittsburgh recently). This is also when I expect Michigan State to flex its muscle. They will cover 1 1/2 points in Indiana Saturday then serve Ohio State its first loss of the season Wednesday night. This is what I expect of a national champion, which is what I believe Tom Izzo’s club to be. Did you know that every player Izzo has ever coached for four years has played in the Final Four? Adreian Payne and Keith Appling are the two seniors of note who in jeopardy of seeing that streak end. However, both are playing like leaders and have a great supporting cast including, fittingly, Indiana’s former Mr. Basketball Gary Harris. Speaking of Ohio State, there are some wacky inflated lines heading into Saturday, January 4th’s matchups. The Buckeyes are giving an improved Nebraska program 17 points. Meanwhile, Arizona is giving Washington 18 points. Take both underdogs in those scenarios. Lorenzo Romar is a great coach with the Washington Huskies and they’ll be competitive in Tuscon. Another line that I think is over-inflated is the Xavier-Butler matchup. The line is 6 points favoring Xavier. But Butler just took #8th ranked Villanova to overtime before losing. In fact, two of the Bulldogs three loses this season were in overtime. They’ve lost by combined seven points total all season. This is a historic matchup with Xavier up 31-17 lifetime. Butler is 8-3 on the season against the spread, according to http://www.vegasinsider.com. If you need one more reason to trust Butler +6, they lost last year’s matchup to Xavier by a slim 5 points. Ouch. Colorado State is 1-7 against the spread this season. I like the law of large averages to work in their favor this weekend. They face a good New Mexico team, but are getting a comfortable 12 point cushion. Take the Rams Saturday. Last, but not least, take St. John’s against Georgetown. The Hoyas most recent notable game was a spanking at Allen Fieldhouse in Lawrence (the home of respectheline.com). I wouldn’t be surprised if JT3’s team responds with a winning effort, but Jakarr Sampson somehow fell from the LeBron James athlete tree in Akron, Ohio. I like he and the Johnny’s to keep it close and cash in on a 6 point cushion. Matt’s ATS is 10-7 on the season. Look for the amount of predictions to really ramp up as the start of 2014 means March will be here before we know it!